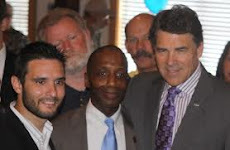 Governor Perry has endorsed James White and will be here to show support for Super Star Conservative State Representative James White who is running for re-election in HD 19 against a much less conservative Mike Hamilton. After Redistricting, James White's new district includes Hardin County, Jasper County, Polk County, Newton County and Tyler County. Governor Perry will also be in town to present the Texas Budget Compact. James White has also been endorsed by Texas Attorney General Greg Abbott, TX Comptroller Susan Combs, Cathie Adams of Texas Eagle Forum, Texas Right To Life, National Rifle Association, Texas State Rifle Association, Young Conservatives of Texas, Heritage Alliance, Texans for Fiscal Responsibility, State Senator Dan Patrick, Texas Home School Coalition, the Texas Conservative Digest, Texans Uniting for Reform and Freedom, Texas Tea Party, Texas Forestry Association, Texans for Lawsuit Reform.